Whether you’re looking for a romantic time away, a family get together or an event, The Osthoff has you covered. 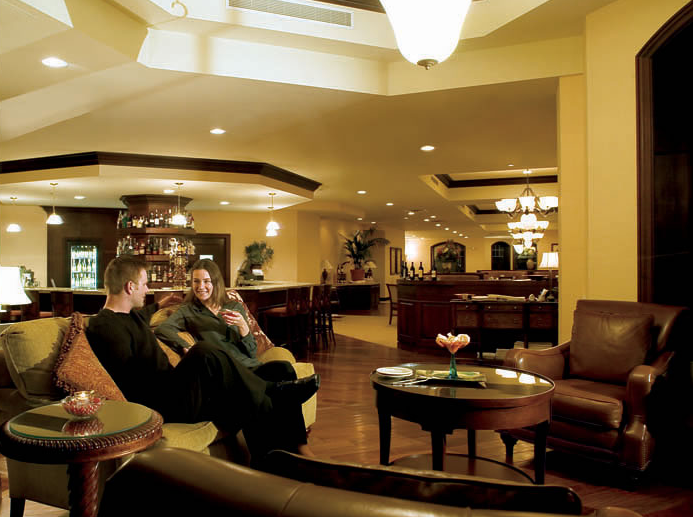 Located on Elkhart Lake, 1 hour north of Milwaukee, this premier AAA Four Diamond resort offers amazing indoor and outdoor activities year round. The resort has an elegant look, but comes with the laid back casual atmosphere you need to truly unwind. The Osthoff provides a number of different accommodations, amazing food (from fine dining to regional fare), activities at the resort (whether to relax or to energize), and a starting point for exciting adventures in the surrounding area. The Osthoff has some beautiful options for your stay. I have a family of 5 and having rooms with more living space, room to spread out, that’s what my family needs. They offer 1, 2, and even 3 bedroom suites that can keep your family together, and avoid some of the nightly separation. If you’re a couple, the well-appointed standard rooms are a sure bet. 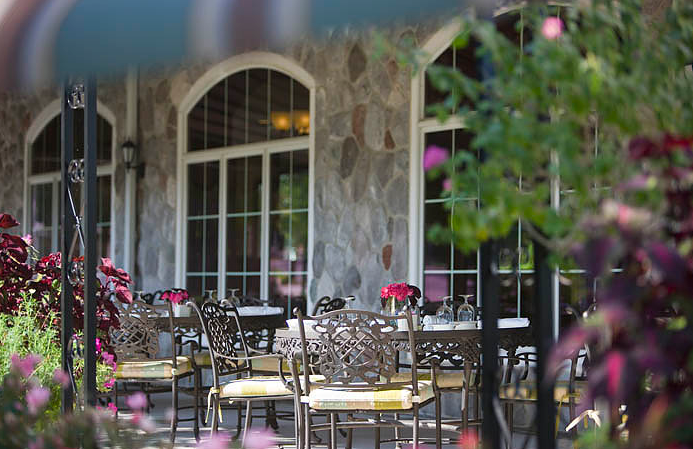 Dining on property at The Osthoff is treating yourself, and your family, to a to spectacular tour of the regional cuisine. 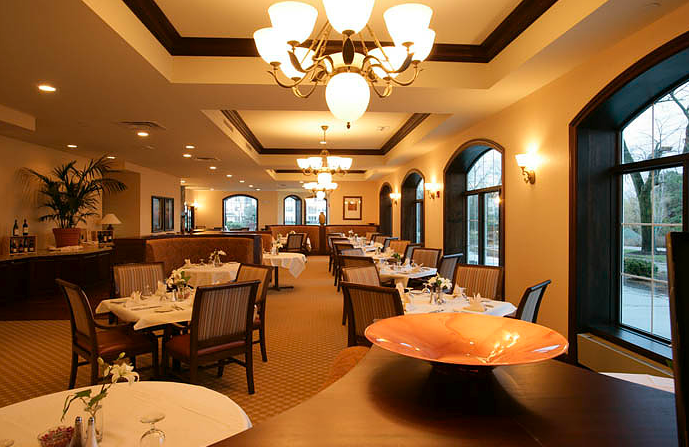 Lola’s on the Lake offers fine dining with unparalleled views of the Lake while you try some of the regional cuisine. Just thinking about the Pumpkin ravioli makes my mouth water. If you’re in the mood for something a little more casual, try Otto’s Restaurant. This has many American classics such as pastas and sandwiches, and would be the perfect place for those with kids. The Elkhart Inn has been serving guests its regional fare for close to 100 years. I would definitely go for the Pistachio-Crusted Walleye, and then come back for the Wiener Schnitzel. The resort also offers dining on the lake deck from Memorial Day to Labor Day for those who what to enjoy a cocktail by the water. Whether you’ve spent the day paddle boarding skiing at the Sunburst Ski Area, what better way to feel rejuvenated than booking a message at the Aspira Spa. The spa, which was recently voted the number 3 spa in America by Spas of America has to be one the main draws for the resort. Moroccan Hot Oil- Using warmed aromatic jasmine oil from Morocco, this massage will smooth your skin as your mind and body are transformed into a complete state of relaxation, induced by slow, enveloping strokes. Grandfather - Paying homage to the stones that are gathered and used in ceremony by native healers; these stones, called the “Grandfathers” are heated and placed on the chakras, meridians and reflexology points, bringing deep relaxation, peace and balance during this medium pressured massage. Mother-to-be - The prenatal massage, only available after the first trimester, uses soft to medium strokes to promote circulation and ease pressure on the joints, promoting tranquility and deep relaxation. The resort has a number of water related activities waiting for you. Check out the list here. With the Summer Pleasures program, you can sign your child up for an assortment of activities, such as fishing, culinary classes or a bonfire by the beach. To me this is invaluable. I remember visiting a resort like this while I was growing up (we went to the same resort every year), and I lived for this type of program. When I took my oldest back to my childhood vacation stomping ground, she loved being engaged in all the activities. I loved participating, and being right next to her as she tried something new. We still sing the camp song we learned by the lake-side camp fire on that trip. Sunburst Ski Area offers 12 runs for all experience levels about 25 miles from the resort. Dog Sledding is offered by The Siberian Outpost, year-round. Come enjoy meeting the animals and enjoy some demonstrations. As I mentioned earlier, Whistling Straits Golf Course (home of the 2015 PGA Championships) is a quick 17 mile drive from the resort. If you’re looking for something closer, try the Quit Qui Oc Golf Club which is adjacent to the Resort. Henschel's Indian Museum has a variety of Native American artifacts dating to 8,000 B.C. This is an archeological dig site, so I think interesting to all age groups. Those in the mood for the arts, the 100 year old Victorian Village Theater offers a number of plays, dinner theater and kids theater. In the area there’s also: Sledding, Snowshoeing, carriage rides, paintball, and zip lining to name a few. I hope you enjoyed this hotel highlight! If you do end up going, please let them know that I sent you, and don't forget to join the email list!